Kayaking Apparel: What Should You Wear When Going Kayaking? Like most outdoor activities, kayaking is a sport that requires certain kayaking apparel to protect you from the elements. When most people think of kayaking or kayak fishing, they imagine floating on a calm lake on a sunny day, wearing not much more than shorts. While that might be great for an hour or two, it won’t take long for elements like the sun, wind and immersion the water to ruin your day if you’re not prepared. What you do (and do not) wear on the water can be just as important as your choice of kayak itself. As far as kayaking apparel goes, there should be no discussion or decision-making about whether or not you should wear a PFD (Personal Flotation Device). The only decision you should make is what kind of PFD you wear, based on the conditions and body of water. Ever year, there are reports of kayakers and boaters losing their lives because they chose not to wear a PFD. It doesn’t matter how good of a swimmer you are or if you think you don’t look cool wearing one. Whether it’s a CO2 inflatable or traditional zip-up style, there are a wide range of PFDs on the market that offer protection as well as style and comfort. WEAR ONE! The sun is something that a lot of people take for granted when they are on the water. Sunburns can occur much faster on the water, even on an overcast day, due to the light reflecting off the water’s surface. You can stay protected from the sun without having to wear anything too heavy, such as YakGear’s Long Sleeve Performance Shirt. This item is quick-drying and provides sun protection up to SPF 50. Another must-have piece of kayaking apparel is a BUFF face mask. These can be worn in many ways, protecting your face, neck and ears from up to 95% of UV rays. Wind is another factor kayakers tend to overlook until it’s too late. A good breeze, even on a warm day, can cool you down faster than you think if you don’t have the right protection. Quick-drying and moisture-wicking clothing prevents you from being chilled by a breeze. Moisture is pulled away from your body and allowed to evaporate quickly, keeping you dry and comfortable. In a stiff breeze, choose a splash jacket such as the Spray Top by Hobie instead of a cotton hoodie. While the hoodie might be warm in calm air, a good breeze will blow right through it. Good-quality splash jackets normally come with gussets around the waist, neck and wrists to prevent splashing water from getting inside. Unfortunately, one of the last things people consider while out on the water is immersion. Even the best kayakers end up in the water sooner or later. You’ll want to wear kayaking apparel that will protect you from hypothermia long enough to get to shore should you fall in the water. On the ocean, what you wear is critical. From neoprene booties to a full dry suit, you need to know that you can handle the water temperature long enough to get back on your kayak and safely to land. DO NOT wear jeans or other cotton clothing on the ocean. Once these types of clothing get wet, they stay wet and make you susceptible to the cool air lowering your body temperature. Remember: dress for success! A great day on the water can be had by anyone if they’re prepared. You can still look cool and stay comfortable on the water with a few smart kayaking apparel choices. And don’t forget – wear your PFD! 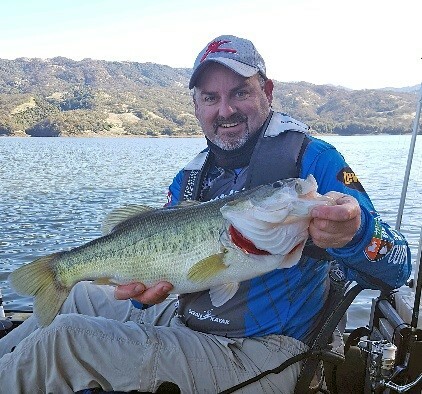 Jef Brewer is from Ukiah, California and spends a lot of his time out on the water. Working as a kayak and fishing specialist at Pacific Outfitters offers him the ability to work with new and experienced kayak anglers. 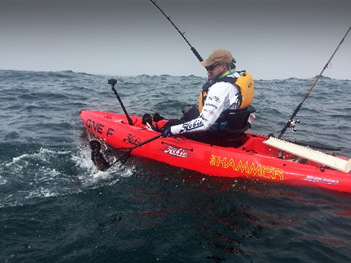 Jef is on the Hobie Fishing Team and a Brand Ambassador for YakGear as well as other outdoor brands.